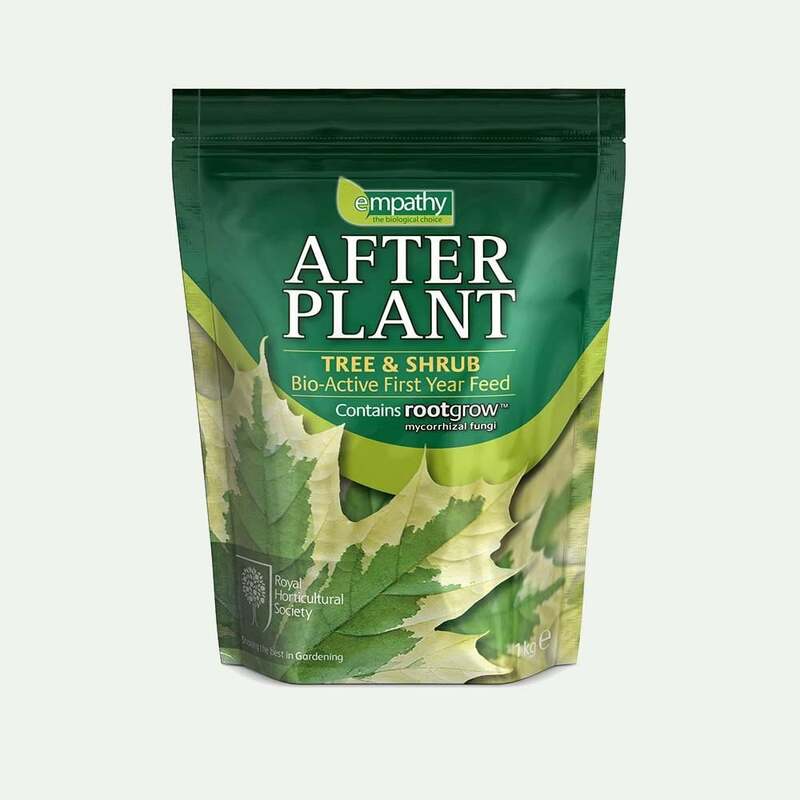 After Plant Fertiliser For Trees & Shrubs is an advanced plant feed that supplies nutrients to establishing trees and enhances soil quality with beneficial microbes to aid nutrient uptake. The blend of nutrients are derived from the most natural sources possible and designed specifically for the requirements of establishing trees. The beneficial microbes include mycorrhizal fungi to help plants establish their fibrous roots, whilst the beneficial soil bacteria unlocks more nutrients from the soil over time. After Plant Fertiliser is ideal as a top dressing for all establishing trees and is particularly beneficial in new build gardens or anywhere with poor soil quality. It is not a replacement for Rootgrow, and when used in conjunction they will give the best possible start to trees by not only improving root development but also helping release nutrients previously locked into the soil, over time.